I don’t usually collect ephemera, but this is such an important part of Queen Mary’s history I couldn’t pass it up. 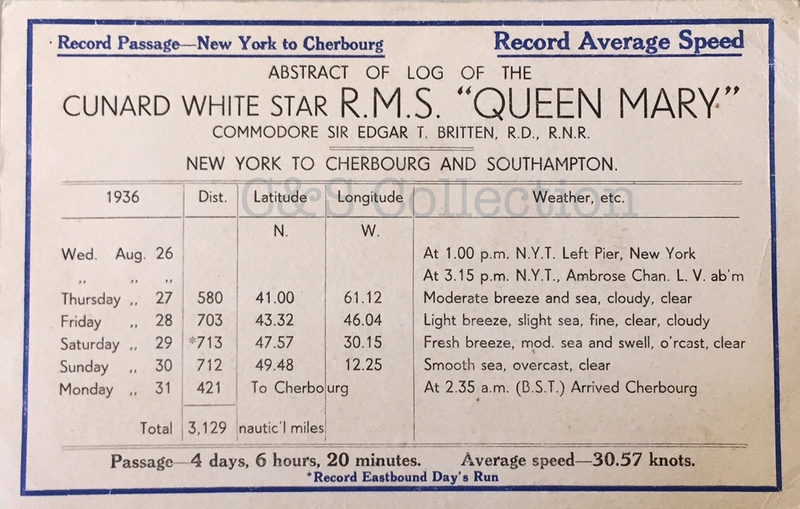 Here is a log abstract from the first time Queen Mary took the Eastbound Blue Riband in August 1936. 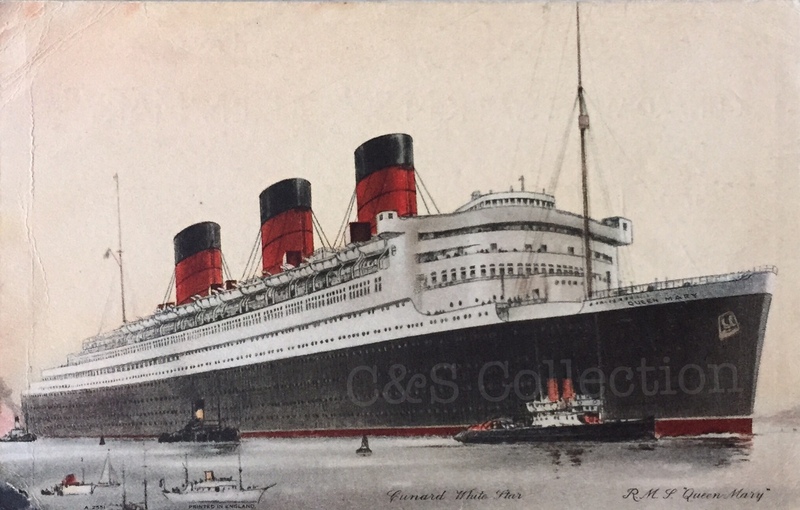 Queen Mary and the French Line Normandie spent many years battling the Transatlantic for holder of the Blue Riband (fastest time to cross the Atlantic), trading back and forth for a few years until Queen Mary ultimately won in 1938. I especially like the detail of the blue border running around the log. 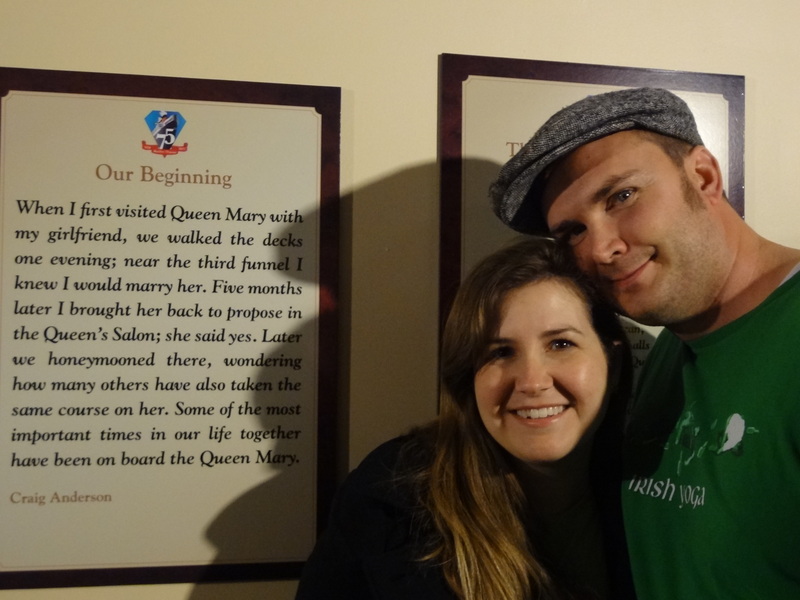 I also liked that instead of just a plain flip side the log features a nice image of Queen Mary. Again it speaks to the importance Cunard Line felt towards having the fastest ship on the Atlantic. 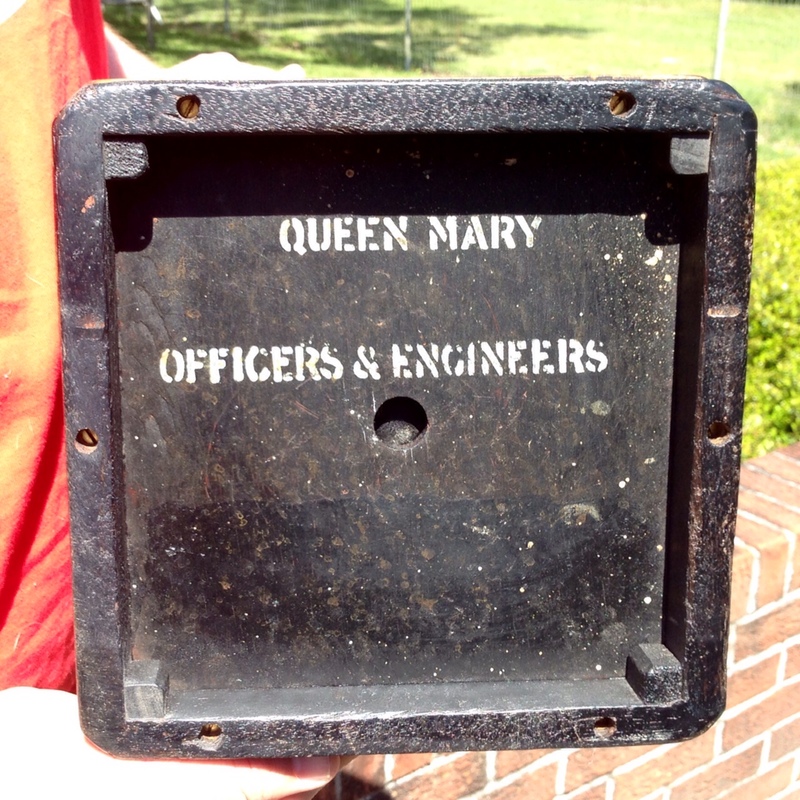 My wife has been wanting a waste basket from the Queen Mary for a while now. So as a surprise for her for our new baby I made an effort to find one for her. Simple in design, but still very elegant. 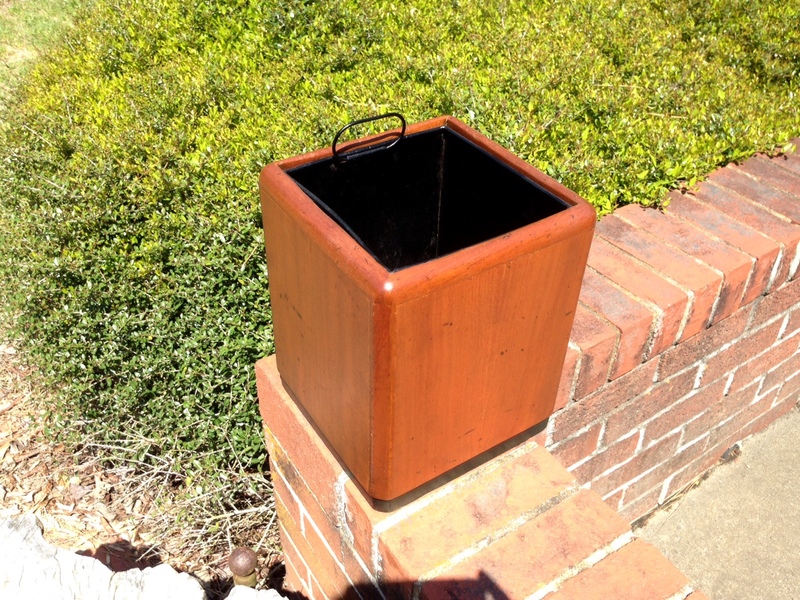 Her waste baskets were all square-shaped (with the art deco rounded edges) and a tapered bottom often painted black. Even Queen Mary’s trash cans are lovely. 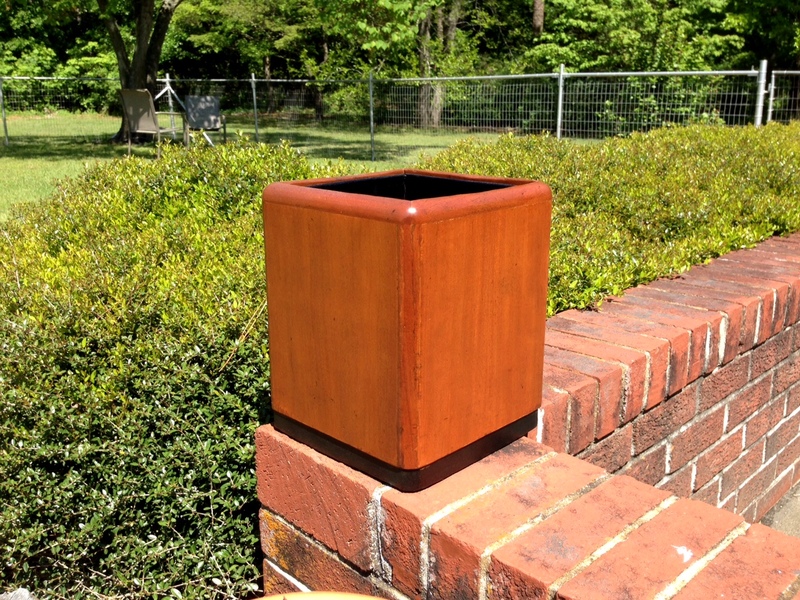 This one is made of golden oak, but Cunard also made many waste baskets out of the beautiful veneers Queen Mary is famous for, these veneered waste baskets often matched the rooms they were used in (similar to the Observation Lounge ash bin made out of Macassar Ebony). This trash can comes from one of the officers and engineers areas on board the ship. I particularly enjoy the metal insert still in great condition. I love the thoughtful touches such as a metal handle for easy removal.